Sleep is one of the pillars of health (the others being nutrition, exercise, and emotional wellbeing) that doesn’t get enough attention. Dishearteningly, people brag about how little sleep they “need” – everyone knows that office guy who “just runs on 3 hours a night” (and wants to let you know about this superhero power of his!) or the lady in accounting with the mug that claims “a yawn is a silent scream for coffee.” But is wearing sleeplessness as a badge of honor actually admirable? I posit: no. It’s actually a warning sign of health problems ahead and a canary in the coal mine of other out-of-whack habits. The basics: how much is enough? Improve cognition, mental clarity, and focus. Just to put that into perspective: how much would the pharma industry charge for a pill that could do all of those things, with no negative side effects? The “two Q’s” are a good thing to keep in mind for both carbohydrate consumption and sleep: 8 hours of tossing and turning won’t get you the kind of rest that you really need. Sleep is made up of cycles of deeper and lighter phases, generally known as “REM” (Rapid Eye Movement) and “NREM” (non-REM). REM sleep is deeper sleep, usually when vivid dreaming happens, and will usually occur 4-6 times per night. If you’re getting the right quantity of sleep but still feeling tired, a sleep study could help you figure out if the issue is sleep phasic – from a simple movement tracker like Fitbit, to a full clinical evaluation, there are many ways to determine what problems you may have. But when in doubt: try the cheapest fix first – an improved sleep ritual! A woman I coached recently mentioned she used over the counter sleep aids as well as a prescription to Ambien, and still didn’t have restful sleep. When I asked about the half hour before she goes to bed, she mentioned her routine is to watch 1-2 episodes of Friends. Now, I don’t know if her doctor inquired about that or not (he should have! ), but while pharmacological solutions do have a place, they should always be tried only after lifestyle changes have been evaluated! The light emitted from TVs, phones, tablets, and gaming devices is similar to daylight – and daylight suppresses the production of melatonin, a sleep-inducing hormone our bodies make naturally. Screen time should not be a part of your nighttime routine! On nights that it’s very hard to fall asleep and you’ve tried the routine already, look into melatonin supplementation. It’s my go-to for traveling in different time zones, or when I’m especially stressed and can’t fall asleep! (Of course, always consult your doctor, especially if you already have treatment for sleep conditions!) And a word about caffeine: if it’s affecting your ability to relax and sleep, it’s too much or taken too late in the day. So ask yourself: Am I well-rested? Do I feel energized and engaged in my day? How often do I turn to substances to “pick me up?” Start giving your body and mind the rest it needs to perform! 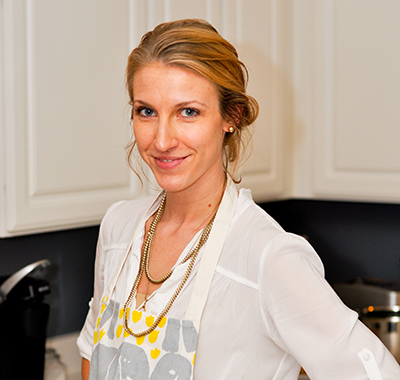 Sarah Waybright MS, RD is the owner and founder of WhyFoodWorks and the team dietitian for Vegetable and Butcher. WhyFoodWorks does nutrition education through food in Washington, DC in corporate seminars. Vegetable and Butcher is a subscription-based service that delivers chef designed, dietitian approved, thoughtful prepared meals to health-conscious people in Washington, DC. You can find Sarah on Twitter, Facebook, Pinterest or Instagram to get food tips and nutrition - and of course, healthy recipes.